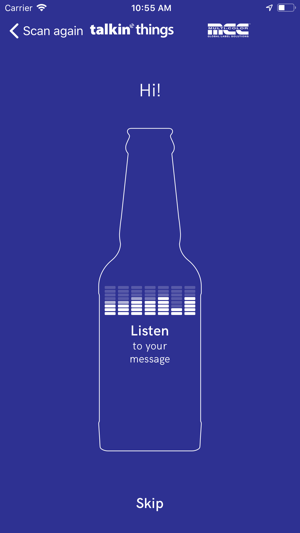 Talkin' Bottle is a demonstration of super-personalisation feature of connected product offered by Talkin’ Things® and Multi-Color Corporation. 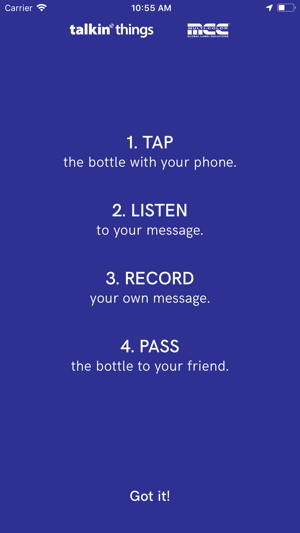 Now a bottle, or any other kind of packaging, may carry your own digital message accessible just by one tap of the phone. Talkin’ Things® provides complete IoT packaging platform for connected products to enable brands to conduct digital transformation. 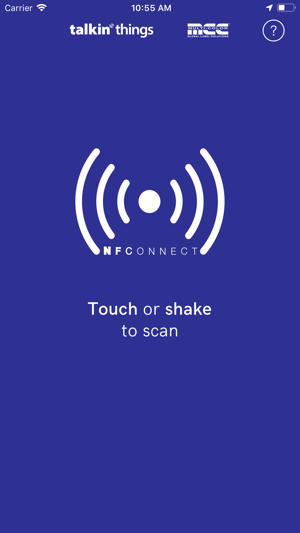 Please note that the app is intended to work only with NFC enabled Talkin’ Things® & MCC demo products. 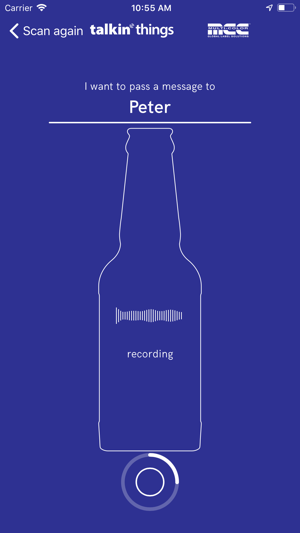 Doesn’t work on iPhone. Such a simple program, it’s hard to fathom why they don’t fix it.